Kickoff the start of the new school year with an ice cream social and a chance to unload all those school supplies before the official first day of school! Celebrate BACK TO SCHOOL with this event that is sure to be a blast for the whole family! Purchase a wristband and get unlimited access to activities, food and fun! 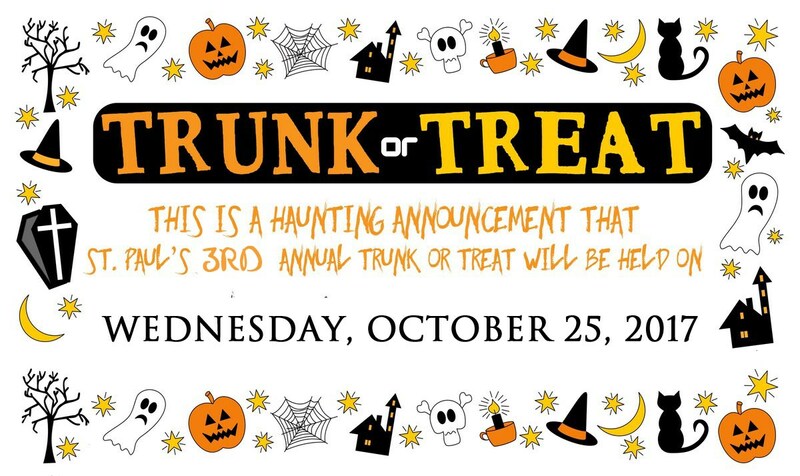 Bring your little ghouls and goblins to this family fun event! 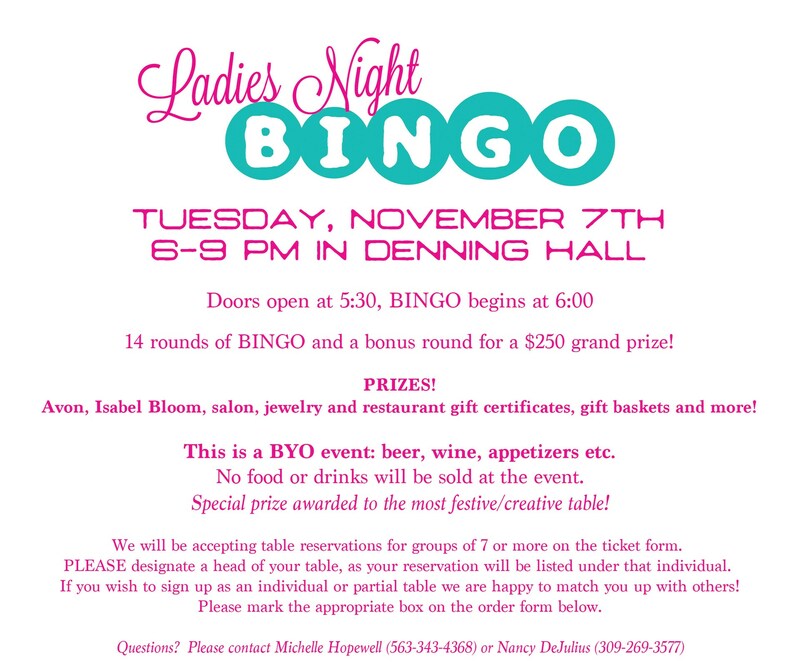 Calling all ladies to a night of BINGO and great prizes. Come with old friends and make some new ones. Bring your own munchies and drinks! Just in time for Catholic Schools Week, the school gets a great clean-up! We ask parents to help out in their children’s classroom for 2-3 hours this morning, bringing along necessary cleaning supplies. This social event is the largest fundraiser for St. Paul’s School. Proceeds from this event help to finance major building and curriculum projects such as new textbooks, technology, new gym floor and playground renovation. These proceeds are separate from the Home & School budget and thanks to an active Grant Committee are often met with matching grants. The evening includes great eats & drinks, exciting and unique silent and live auction prizes, along with great music and friends, both old and new. Show your appreciation for the wonderful teachers at St. Paul the Apostle School with a special luncheon and treats throughout the week. Many opportunities to be involved with the preparation or in the classroom!